Chances are you and your family are already proud owners of an Austrack Camper, or you are wanting to purchase a Camper Trailer to start exploring this Great Land of ours! Austrack Campers are “built tough, built to last” and there is a great range of campers to choose from, designed for your comfort and travelling needs. South East Queensland has many beautiful get away destinations within easy reach of Brisbane. If you are wanting a weekend get away with a group of friends, or just some quiet time with family, we suggest heading toward Kenilworth, Imbil and Amamoor to camp at any number of private homesteads, National Parks, or free camps along the way. 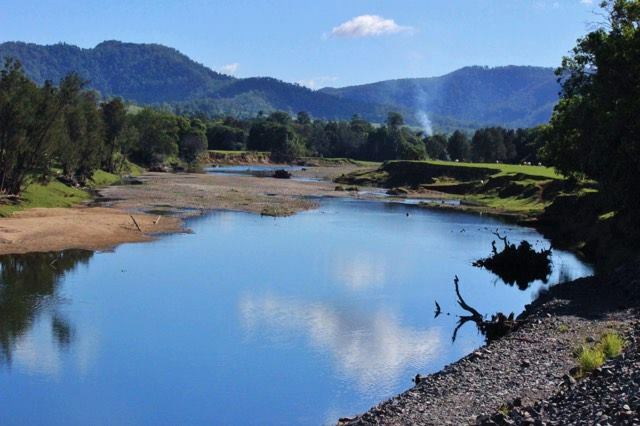 This is the beautiful Mary River at Kenilworth, and a must visit area is the gorgeous Conondale National Park, complete with river crossings, swimming holes and a look out. Make memories in your Austrack Camper this weekend!